Our customer service is second to none. 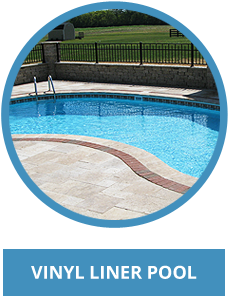 We do quality workmanship it is our top priority that our customers are completely satisfied. Our company is insured and bonded we don’t work “under the table”. We are accredited members of The Better Business Bureau with an “A” rating. We are on Angies List with an "A" grade rating.We are not inconvenienced by questions, we expect them. If we say we will be there, you can count on it. 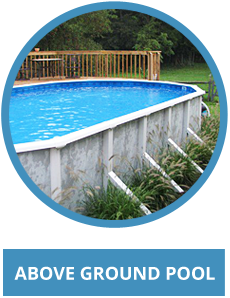 Have installed 1300+ In Ground and Above Ground pools in Ohio the last 8 years. We many references available. I was born on October 6, 1976 in Southeastern Ohio. I graduated from Logan High School in 1995. I had my first job at the age of 8 bailing hay for a local farmer. I was raised in the country in case you couldn’t tell! I was paid $1/hr. I started working for my Grandpa at the age of 10 in his meat processing business and I worked there until high school graduation. I was a member of the FFA and served as vice-president my senior year. I participated in judging contests in the areas of small engines, meat (of course), forestry, and parliamentary procedures. I received my State Degree indicating my performance in the top 2% of FFA members. In 1997, I started working for a local grocery chain after graduation and within 3 months, I was promoted to assistant manager of the meat department. Within a few months, I met my beautiful wife Tammy. I got a new job working with Tammy’s father in the pool building business working on above ground pools. When I started, I had no clue that the pool business was an actual industry. I remember thinking many times, “What happens when everybody has a pool in their yard?” I had no idea of the numbers. When I later started working for a company building in-ground pools, I knew I had found something I really enjoyed. But, as always seems to be the case, there was a downside. The problem was that the business was seasonal in nature, and I found out the hard way. In 2004, the business that I was working for closed down. I took thatas an opportunity and along with my wife Tammy and my brother Jeremy, we started our own company. Tammy and I also have two of the best kids in the world, Christina and John. Here are some interesting facts about me: *I played trumpet in band in school and now I moonlight as a drummer! *I asked my wife to marry me after dating for only 11 days. We had only met a week prior to our first date! *I used to show market hogs and chickens in local fairs. *I loved to play softball and played on some very good and competitive teams. Notice that I used the past tense...because at my age I have come to realize that I can’t quite play the way I did a few years back. *I love to bow hunt when I get the chance. I spend any free time I have target shooting with my kids. (They are both in archery at school.) They can’t quite beat “old dad” yet, though! *I also love to fish, camp, hike, sit by the fire, ride my motorcycle, and be with my family. Hi there, Tammy here. Gosh, I have been helping build swimming pools as long as I can remember. One of my first memories of pool building was while I was helping my dad, who was an installer for a major pool company in IL, I was helping hold the wall. I had to move around the pool, tripped, and down came the pool wall! Come to think of it, I don’t remember my dad asking me to help after that (don't I wish?). That takes us to 1997 when I met Nathan we started dating, and 11 days later he asked me to marry him. Yes, 11 days from our first date. He’s a smart man, just saying. Shortly thereafter my dad had Nathan helping him build pools; you can read Nathan's post to find out more on his history of pool building. So, Nathan and I got hitched 4 months after he proposed. Moved to the country, we adopted two amazing kids, then we needed a bigger house and that brought us to Logan. I have always wanted to be a stay at home mom, so now I work from home, and am still able to be here with our amazing kids. We are currently in the process of building a new office, it will still be on our property, just out of the family room! What am I doing now? That brings me to my current position as Office Manager. I am available to answer any question you may have. If I do not know the answer, I will be happy to find out, or simply have Nathan give you a call with the information you need. 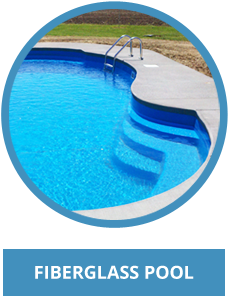 Our goal is to give you, the consumer, as much information as possible to help you make the best decision for your family when considering the purchase of a swimming pool. So basically, I am the brains behind the operation (no matter what Nathan says). Happy Pool learning! Interesting things about me:*I was born and raised in Illinois. I moved to Ohio my Jr. year of Hgh school. I graduated from Groveport Madison High school. 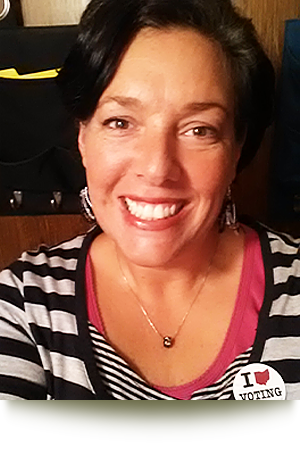 I studied Dental Assisting as an elective at Eastland Career Center. *Currently, I have lost a lot of weight and fitness is my new hobby. So far this year (2012) I have completed 5- 5K's. One of which was the Warrior Dash. That is a 5k race with "hellish" obstacles. Climbing through mud, climbing walls, balancing on beams, climbing rope walls, and the list goes on. Nathan stayed with me, I know he could have finished a lot faster, but he stayed with me (my hero)... It was one of the biggest personal sucesses that I have obtained. I'm proud... if you can't tell. What do I do for fun? I love, love, LOVE to be outside, swim (imagine that), fish, camp, and garden. So as you could imagine I love to hike at Old Man’s Cave; sitting by a fire is my therapy, I hate to be inside, totally not a winter person (unless I am taking pictures), anytime it is not freezing cold you can find us outside doing something. I’ve been to Alaska twice, I am dying to go to Hawaii (hint Nathan), and I have this crazy urge to experience New York City. I grew up near Chicago, and loved big cities until I married Nathan and quickly became a country girl. I also love to sew/quilt, read, I make jewelry and I love to take pictures, mostly outside, of flowers, birds and animals, and of course my kids. I am not a shopper, (unless you count Wal-Mart), and I don’t know a stranger, if you’ve met me, you know my life story, ALL of it… Oh, and my favorite color is HOT PINK! 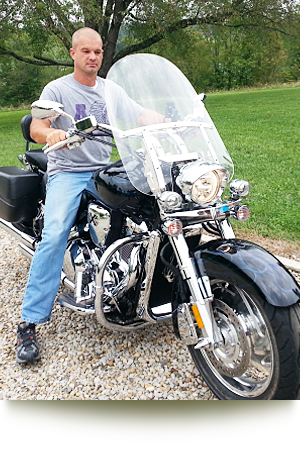 And I love to ride motorcycles...I just bought a white Yamaha VSTAR!!!! Why do I love being a part of Edwards Pools? Because I know that I am going to do my best to help our customers enjoy their experience with us, and ultimately their pool. Also, because our clients are not just dollar signs to us, we care about people. We are family people, and know that we are helping produce backyards that will help to make many memories for our clients for many years to come. 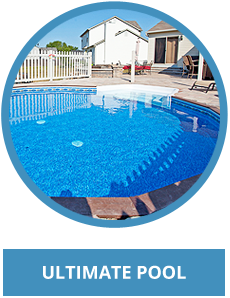 Why is excellent customer service at Edwards Pools a must for me? Our excellent customer service at Edwards Pools is a must for me because I was raised "do unto others as you would have done unto you", and since I love to get excellent customer service, I want to treaothers how I would want to be treated, and besides, happy customers are the best referral we can get!